SINGAPORE (Reuters) – Brent crude oil edged up on Wednesday after a second successive drop in U.S. crude inventories driven by an outage at the Syncrude Canada oil sands facility, which usually supplies the United States. Brent crude futures () were up 7 cents at $77.83 a barrel by 0915 GMT, while U.S. crude futures () were down 17 cents at $73.97 a barrel. U.S. crude inventories fell by 4.5 million barrels to 416.9 million barrels in the week to June 29, the American Petroleum Institute (API) said on Tuesday. Gasoline and distillate stocks, also fell, the API said. The decline in fuel inventories was largely down to the outage at Syncrude Canada’s 360,000 barrels per day (bpd) oil sands facility near Fort McMurray, Alberta. The outage is expected to last through July. Looming U.S. sanctions on Iranian crude exports, force majeure in Libya and unplanned pipeline outages in Nigeria are meeting rising output by the Organization of the Petroleum Exporting Countries and clouding the supply outlook generally. “In an ideal world an increase in global or regional oil production would have downward pressure on prices. These are, however, no normal times as supply outages are almost weekly occurrences. 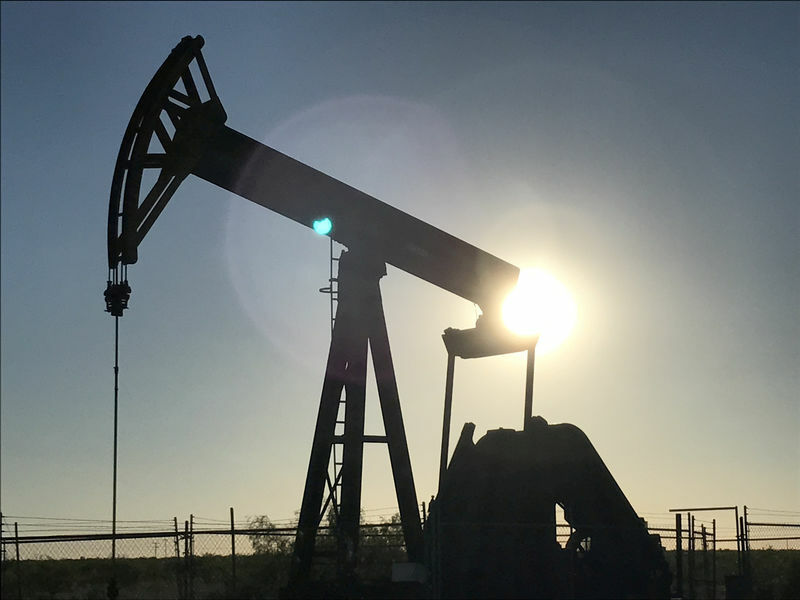 Under these circumstances it is justified to argue for higher prices when production increases are announced,” PVM Oil Associates strategist Tamas Varga said. Trading activity is expected to be limited on Wednesday by the U.S. Independence Day holiday but volatility however is creeping higher. Implied options volatility, a way of measuring uncertainty among crude oil traders and investors is at its highest since the run-up to last month’s OPEC meeting. Harry Tchilinguirian, head of commodities strategy at BNP Paribas (PA:), said when an investor does not have a strong view on which way the price of crude oil futures might move, they tend to take a bet on options instead, to protect themselves. “When there is consolidation in the market, there is also the expectation of an eventual price breakout in either direction. So in the options market, the volatility gets bid up,” Tchilinguirian told the Reuters Global Oil Forum. Investors can bet on various aspects of an option, from the premium, or price, to the delta, or how much the price of that option might move.